Chris Webster: "Something in the water"
Chris Webster is evolving... beginning with a stellar career as lead singer for one of California's best know regional acts: Mumbo Gumbo, Webster also boasts a successful resume highlighted by two solo releases (Drive, Now playing) and one amazing traditional Bluegrass recording (Ten Thousand Miles) with her sister Cassie and reknown guitarist Scott Nygaard. Over the past few years she has been personally recruited by Ray Benson to join Asleep at the Wheel, The Band has recorded one of her song and most recently was awarded the Gibson Guitar Award for Best New Singer Songwriter. More importantly Webster brings an unrivaled pedigree, combining elegance and grace with a foot-shuffling manner, astonishing power and passion. Her voice is capable of taking you to magical heights, then can turn on a dime delivering gut-wrenching torch songs and poignant gentle ballads. 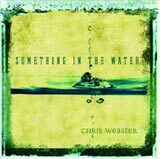 Chris Webster has arrived... Something in the water, her new release on DIG Music is the culminative total of her amazing pedigree, incredible achievements and love's lessons learned while traversing the swampy back-roads of Americana. Something in the water also shocases Webster's stellar five piece band plus special guest appearances from her talented friends including Jackie Greene, Steve Berlin of Los Lobos, Darrel Angar and Scott Nygaard. Praise from the adoring media continues to grow for Webster, most recently being honored with the Gibson Guitar New Musician Award at this years Hatch Festival in Bozeman, Montana. Over the years Webster has played such legendary venues as The Fillmore (SF), La Zona Rosa (Austin) and The Winnipeg Folk Festival. She has also supported some of America's most notable performers including The Band, Los Lobos, Guy Clark and Lucinda Williams. Something in the water offers up a slice of Chris Webster's Life and a helathy portion of her soul. From the swampy-funk of the title tune "Something in the water" to the smokey, Ray Charles-esque "Brighstar" and back around to the carefree R&B classic by James and Bobby Purifiy "I'm your puppet" Webster continues to travel the country adding to her expanding scrpbook of musical memories. "Something in the water" is your chance to share these memories...it's your E-tiket ride to an emotional roller coaster that will leave you breathless and satisfied. Journey names Jeff Scott Soto Official new lead singer! December 19, 2006 -- Jeff Scott Soto has been officially named the new lead singer of Journey. He had been filling in for Steve Augeri, who had to leave the U.S. tour with Def Leppard shortly after it began on June 23 due to illness. Steve Augeri is currently recording his debut solo album, IN THE MOMENT, due out the summer of 2007. He’s also putting the finishing touches on the much-anticipated follow-up to the AOR classic TALL STORIES album, launching early next year. For more info, visit www.steveaugeri.com. New Bill Champlin demo songs added on his site! 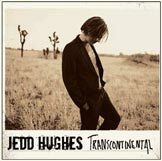 Jedd Hughes's debut album, "Transcontinental"
Growing up in the small south Australian town of Quorn, Jedd Hughes was first given the gift of country music by his father, who loved the sounds of American icons such as Johnny Cash and Marty Robbins. One night on the radio, Jedd heard the Ricky Skaggs song "Country Boy" and was hooked on Skaggs' rapid-fire blend of country and bluegrass. While attending South Plains College Jedd met Terry McBride. Terry, who'd enjoyed success with his trio McBride and the Ride, did a workshop at the college. He noticed there was something different about the young guitarist. He talked with Jedd after the show and offered to write with him if he ever made the move to Nashville. "Transcontinental", Jedd's debut album for MCA is a blend of the traditional sounds Jedd loved from his childhood and the rocking country he’s absorbed as an ever-evolving artist. The album kicks off with the up tempo Beatlesque tune “I’m Your Man” then quickly switches gears to the mellow sound of “I’ll Keep Movin’” which demonstrates Jedd’s versatility as an artist. Tracks like “High Lonesome,” a rolling train of honky-tonk would make Buck Owens proud. He continues rocking with the roadhouse grit of “I Don’t Have A Clue,” “Snake In the Grass” and “Damn! You Feel Good.” “Time To Say Goodnight (Sweet Dreams Baby)” and “The Only Girl In Town” (with guest harmonies by Alison Krauss) are sung with a soulful yearning guaranteed to melt the hardest hearts. Jedd’s former “boss,” Patty Loveless, puts her golden touch on the beautiful, melancholy “Soldier For The Lonely.” The album ends fittingly with a cover of country rock legend Gram Parsons’ “Luxury Liner.” Jedd hopes his blend of roots-based country will appeal to a wide range of music fans. At MelodicRock.com, read an exclusive interview with an industry great! 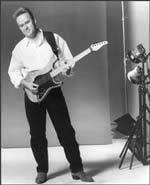 Legendary session guitarist Tim Pierce talks about his life as a session guitarist for hire as well as many insights into the music industry from his perspective and his time as Rick Springfield's guitarist in the 80s. I just want to share with you an excellent canadian site containing VERY FUNNY videos. To enjoy it you need to talk french and understand the Quebec accent. I spent hours laughing... ha ha ha ha. Also, on a video, a character makes me think to one of my favorites singers, ex-member of the band Toto?? I let you guess....?? 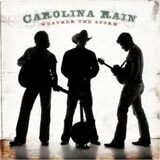 Carolina Rain's debut album, "Weather The Storm"! Carolina Rain's talents are so dazzling and so self-evident that the group should have vaulted to instant stardom years ago. Instead, the group's bonds have been strengthened by a climb that has sometimes been painfully slow. The real story starts In 1999 when Rhean Boyer (vocals, guitar) got a job as a security guard at Belmont University in Nashville. He met new arrival in his service, Marvin Evatt (vocals, banjo, guitar), and the two were soon riding around in a squad car, writing songs together. A few months earlier, Jeremy Baxter (vocals, mandolin) had walked into choir practice at Hillcrest Baptist Church in Lebanon to find Rhean sitting in his spot. He sat down beside him, and they heard one another's voices for the first time. Then Rhean brought Marvin with him to services. They got Jeremy a security-guard job at Belmont, and the trio began rehearsing in earnest. 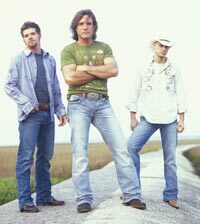 Their first songwriting collaboration, "Carolina Rain," named the trio. Producer/songwriter Robert Ellis Orrall took Carolina Rain under his wing and into his studio. But the group's first showcase for a major record label turned into a disaster when both the lights and the sound system failed. Orrall's tapes and another showcase led to an offer from a second record company, but the group didn't like the terms of the contract and walked away from the deal. Six months later, Carolina Rain sang their songs for Equity's Mike Kraski and were offered a contract on the spot. In 2004, producer/songwriter Stephony Smith took Carolina Rain into the studio to begin work on its album for the label. Progress continued in 2005 when Equity Music Group partner Clint Black offered the trio the use of his studio. The joy that Rhean Boyer, Jeremy Baxter and Marvin Evatt found when they first sang together seven years ago is now on disc for the world to hear. Carolina Rain's debut album, Weather The Storm, is solid proof that togetherness pays off. On it, these three men practically breathe in harmony. The layered vocal mix and bopping rhythms of "Isn't She" delight the ears, as do the soaring voices and uplifting tone of "Sweet Virginia Kiss." The stirring emotions of "All Before The Sun Goes Down" are brought to life via full-throated harmonizing. "Dealin'" is airy and meditative, and "Someone's Child" is a social statement, while "Let's Get It On" is a rocking party. Death haunts the lyrics of "The Man I've Been Looking For," yet they sing of romance in "That's Alright With Me." The three voices build in intensity throughout the upbeat love song "I Ain't Scared." On the dreamy "Who Needs The Sun," the vocals echo and answer one another. As if to demonstrate the trio's extraordinary vocal fire power, there's a moment in the groove tune "Carolina Rain" where the harmonies are left unadorned by any instrumentation. The rapid-fire wordplay of the group's hit single "Get Outta My Way" is handled in perfect trio harmony. 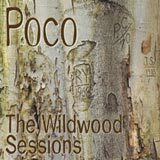 Poco, "The Wildwood Sessions". Their new Live recording! Acoustic concerts are a staple at Wildwood Springs Lodge, an oasis nestled in the rustic splendor of the Ozark hills in Steelville, Missouri. It's a special place where, for many years, visitors have found refuge from the rigors and stress of day-to-day life. Poco, too, have found the idyllic setting of Wildwood Springs the perfect way to embrace friends, unwind and relax, while at the same time, create some of the most memorable "live" performances of their career. The Wildwood Sessions captures the special bond between Poco (Rusty Young, Paul Cotton, and Jack Sundrud) and their audience in these live recordings made at the Wildwood Springs Lodge. Michael Landau is perhaps the most widely respected session guitarist of all time. This double CD live recording captures Michael Landau's critically acclaimed guitar ability as it was showcased at an LA club during 2006. Landau makes his instrument do the talking on this 2 CD set, performing some of the most incredible sounds and phrases ever recorded on a guitar. 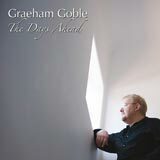 Graeham Goble's New cd, "The Days ahead"! Founding Little River Band Member and One of the Most Successful Songwriters Australia Has Produced, Graeham Goble Steps Out Solo with this Bold New Selection of Songs. The Production is High Art. Goble is a Perfectionist. The Vocal Harmonies Are Some of the Most Intricate You Will Ever Hear. Graeham Has Surrounded Himself with an Assembly of Peerless Players that Include Early Little River Band Participants George Mcardle and Roger Mclachlan, as Well as Members of Such Legendary Oz Rock Entities as the Aztecs, Australian Crawl, Mondo Rock, Southern Sons and the John Farnham Band.